Harbour Street was yet another book in this series I love and which I thought, having seen and loved this episode of the TV series, I might ‘know’. No. I was wrong. Again. While there are, of course, similarities, in plot and characterisation, the book can take you places the TV series can only dream of going. The story here centres around an elegant old lady who is mysteriously killed on a train. The clincher is that it’s Joe Ashworth’s eldest daughter who finds the body. Enter, or rather, lumber, our beloved Vera, stage left. Larger than life, kind and sharp, a woman who doesn’t suffer fools but loves to appear one so people constantly underestimate her (which some do to their detriment), Vera knows there’s more to this dead woman, Margaret, than meets the eye, pet. Learning that she lived in a B&B on Harbour Street, sharing responsibility with a young woman, Kate, who has two teenage children, Vera starts to unearth a rather complicated past for our Margaret. As the novel progresses, more and more people enter the scene and become not just parts of Margaret’s colourful and chequered past, but suspects as well. Cautious around the police, it takes all Vera’s charm and cunning along with the dogged determination of the rest of the team, Joe, Holly and Charlie, to discover not only what people are hiding, but what they fear. When another body turns up, and Vera guesses the killings aren’t over yet, tracking down the murderer becomes not only a matter of professional pride, but time – and it’s running out. Cleeves has done it again with a wonderfully evocative, richly character-driven novel from which the people leap fully-formed. Vera is fleshed out even more and it’s so rewarding for those who read the series in order to not only understand and predict how Vera will act in a given situation, but be proven wrong as well. Likewise, Joe, Holly and Charlie are given more complex roles, and their back stories are slowly filled in too. But it’s place that also takes a lead role here – Harbour Street, full of colour intensity, and locals with their parochial attitudes, reluctance to embrace newcomers, suspicion of the police, and ambivalent relationship with the past they both hide and can’t shed. And, as I hoped, the plot does steer away from the TV one, so it’s like enjoying two amazing, beautifully structured stories filled with people you invest in and adore in the same setting. 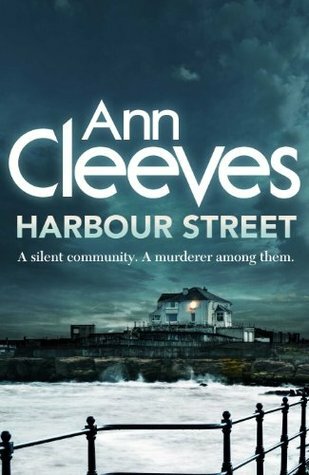 Cleeves has done it again – written a cracker of a book. This book took me completely by surprise. I’m still not sure what I expected when I first started reading, but it certainly wasn’t a tale that grippe d me by the scruff of the neck with one hand, and clenched my heart with the other and refused to let go. “Winchester Geese” was the collective name given to the prostitutes who worked in Southwark and Bankside in Medieval times, in an area or the liberty owned by the Bishop of Winchester. From these women and the places in which they lived, the bishop collected rents and hence a tidy earning. That a man of God made a living – or part of it – off women’s backs, turning a blind eye to their shocking conditions, illness, poverty, cruelty, and the enforced sexual slavery that some endured, and the brutality of their often brief lives and the lack of choice that led them to such a profession, while preaching against sin etc. was not lost on contemporaries or history. So, immediately, the title of this book intrigued me. 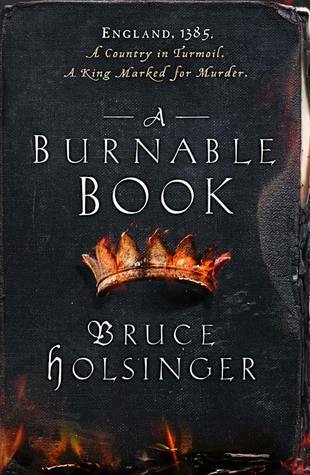 Set in Tudor times, during the latter years of the reign of Henry VIII, 1540, the book uses first person and, to commence, four different voices to tell a tale of love, lust, hope, marriage, desperation, loss and tragedy. 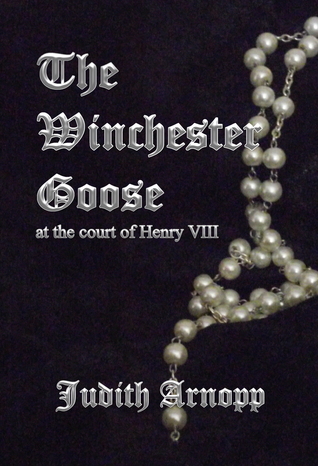 The main protagonist is Winchester Goose, Joanie Toogood (great name) who, due to the death of her parents when young, gained responsibility for her two younger siblings turning to the oldest and only profession available to her as a single woman of a certain class. Big of heart, popular among locals and with oodles of common sense, Joanie is a delight. When she falls for the rather shady but young and dashing Francis Wareham, a gentleman who seems to stumble from bad choice to poorer ones, her life changes. But so does that of two other women from a completely different class who also encounter the dashing courtier: Evelyn Bourne and her sister Isabella. Lovely young gentlewomen, they are brought to the Tudor court to join the maids serving Henry VIII’s new queen, Anna of Cleaves. Hoping their prospects for marriage will improve through exposure to the royal court and eligible bachelors and widowers, the young sisters could never have foreseen the way their lives were to be changed. All four of the main characters, Joanie, Francis, Evelyn and Isabella are given voice in this novel and such different and compelling voices they have. The common denominator in their stories is Francis. As a reader, you think you see where these women’s relationships with handsome, swaggering Francis will lead, but nothing prepares us for the brutal and heart-wrenching reality. Told in an uncompromising fashion, one that allows us to experience the lack of choice, the utter despair and injustice of women in certain positions during this time, the novel can make for bleak reading – only, despite the shocking events that unfold, it never falls into that dark trap, but allows hope and possibility to hover at the edges. Without sentimentality, it explores the heights and depths to which choices – good and bad – can lead, and how all it takes is one chance, one generous act of faith in fellow humans to bring about transformation. Evocative and moving, the period is also brutally and wonderfully drawn. I really enjoyed the fact that the court and the large figures that people in it such as King Henry, Anna, Katherine and the courtiers, were mere backdrops to a passionate and searing tale of ordinary folk. Readers of historical fiction, romance and just a damn fine book will love this. Looking forward to reading more of Judith Arnopp.